It is so peaceful and quiet here. There are an ever increasing number of mooring buoys in Port Madison. It’s getting hard to find a place to anchor. I find it hard to believe they are all legal. As is often the case … maybe there is something I don’t know. I think we found our next boat. 🙂 Time to buy a lottery ticket. 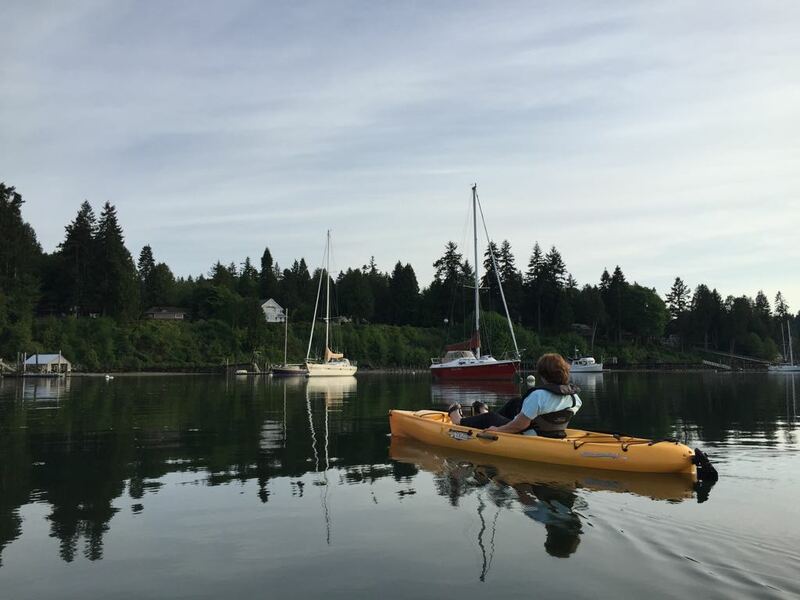 Kim and I spent a good part of Saturday afternoon pedaling around Port Madison in our nifty Hobie kayaks. Toward evening the water went flat like glass. Perfect. Pedaling is the only way to go! Early Sunday morning, we pulled up the anchor and pointed the boat for home. We were back at Liberty Bay Marina by 7:15. 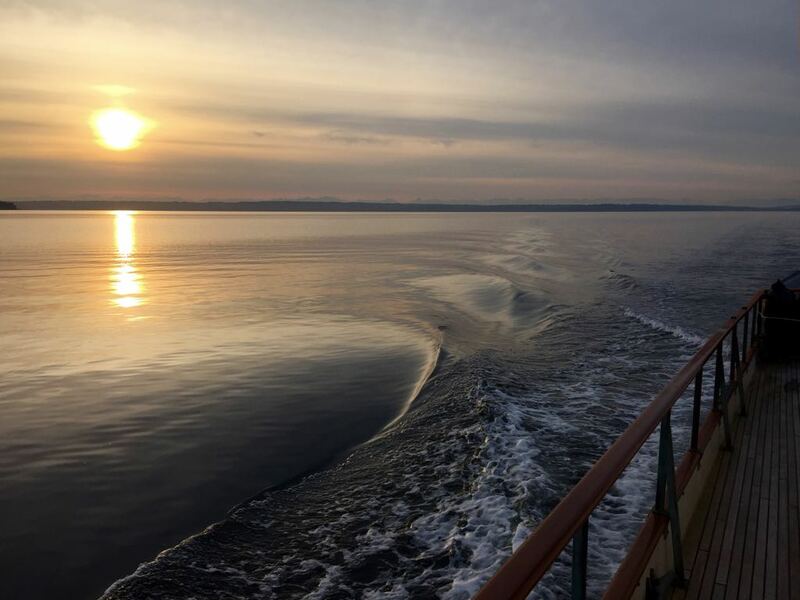 I am looking forward to spending more time on the boat. Unfortunately, my current work schedule precludes anything more than short trips like this on weekends. … and … I keep trying to get Kim to write more. She is more interesting than I am. 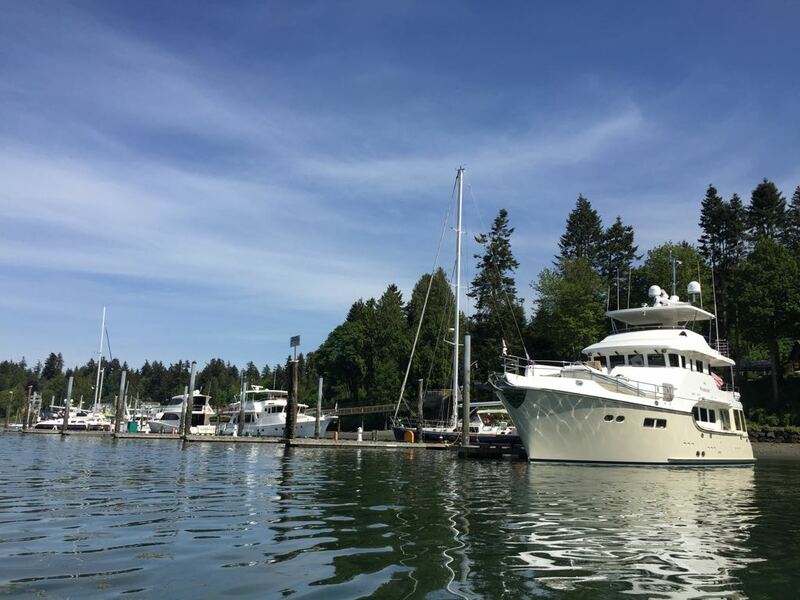 This entry was posted in Destinations, Interesting and tagged Agate Passage, Archimedes, Grand Banks, Grand Banks 42, hobie, hobie revolution 11, Pacific Northwest, Port Madison, Poulsbo, psgboa, Puget Sound, Salish Sea, Trawler by Rusty. Bookmark the permalink.